Specialising in Commercial vehicles Cordwallis Heathrow offers unrivalled levels of service and expertise. Our modern state of the art workshops are manned by a team of experienced technicians offering a range of repair and maintenance services. 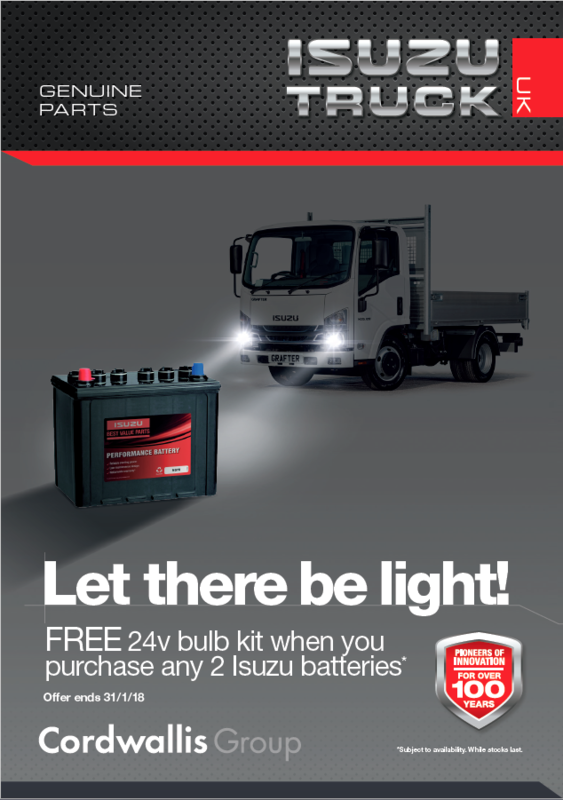 Minimising downtime and keeping your trucks on the road is our number one priority.Our sales team can advise on the Isuzu range of vehicles from the well established 3.5 tonne GRAFTER range which is available pre-bodied (dropside and tipper) or as a chassis cab. With the exception of the 7.5 tonne URBAN all vehicles above 3.5 tonnes are part of the FORWARD range with vehicles at 5.5, 6.5, 7.5, 11.00 and 13.5 tonnes. Open 24 hours a day Monday to Friday our fully equipped, high technology workshop facility can cover all your servicing and general maintenance needs. We can service and repair your Isuzu truck or any other make of vehicle from LGV, tippers, rigids, trailers and tractor units.